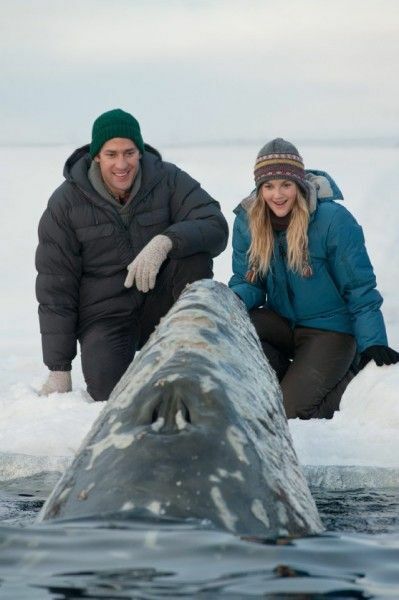 Big Miracle (opening in theaters on February 3rd) is inspired by the incredible true story of a family of majestic gray whales trapped by rapidly forming ice in the Arctic Circle, and how an entire Alaskan community fought to save them, with the help of rival world superpowers. 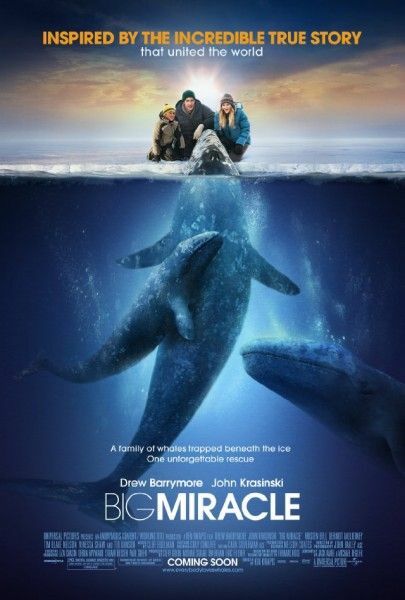 Showing the rescue from multiple perspectives, the film covers the media circus that descended upon the town of Barrow, Alaska, as well as the unlikely coalition of rescuers that put aside their various agendas in order to accomplish the seemingly impossible task of freeing the whales. Question: Even though this is inspired by a true story, so many pieces of it seem too impossible to be true. Did you ever wonder how these things could have really happened? KEN KWAPIS: It definitely falls under the category of truth is stranger than fiction. We took some liberties with some characters and events, but the actions in the film that are the most outrageous, like the people carving a trail of holes across Arctic sea ice for five miles, actually happened. The aide to Reagan’s Chief of Staff did indeed fall in love with the Colonel from the National Guard, who was assigned to drag the hover barge across the sea ice. There was actually a search and rescue helicopter where the pilot’s eye did freeze shut. The things that were the most outrageous turned out to be true. Were there a lot of elements that you had to leave out for cinematic purposes? 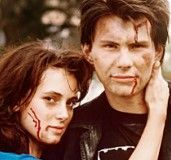 KWAPIS: There were a lot of things in the original script that we had to cut for budgetary reasons. When the young whale died, there was a lot of worldwide mourning, including a candlelight vigil at the Monterey Aquarium. People were so sad about that whale’s death. That was not something we could do. Our grieving montage is reduced to four pieces. In Barrow, in 1988, there was a cab driver who made a killing taking reporters around town, but there was a piece of his car that was broken. It would take months for the cargo plane to bring the part, so as a result of this broken item, he could only drive backwards. There’s just some of that oddball, quirky stuff, which you would never believe was true. What led to your choice to weave in actual footage, including President Reagan and Sarah Palin, at the end of the film? Was that to remind audiences that this actually happened? KWAPIS: One of the goals was to present the story in as realistic a way as possible. The period appropriate clips were an easy way to add credibility. I will say it was a really unprecedented thing to get all three networks to agree to let us use clips of the primetime anchors of the day, like Peter Jennings, Tom Brokaw and Dan Rather, but I also thought that the most important use of archival footage deals with the whales themselves. When the event took place in 1988, there were approximately 150 reporters there from everywhere. Many countries sent reporters. There is a lot of footage, most of it shot on beta-cam, that happily still exists. We were able to access it and study it. I wanted to see how the whales moved and what they were like, what they looked like, and what their textures looked like. I wanted to see what the size of the hole was, so that we could recreate it accurately and intersperse that actual footage throughout the film. So, there were many times where you could see a bank of monitors in the editing bay, and one would have the whales and the ice hole that we created, side by side with the actual whales themselves from 1988. There were times I couldn’t tell the difference from the real and the achieve footage. Why did you decide to have an actor play Reagan from behind and just do the voice? KWAPIS: There were a couple of ways to attack that problem. You can cast an actor that may look like the real Reagan. We’ve seen that done many times. I was surprised when I saw the film J. Edgar and people were portraying Nixon and Robert Kennedy. They looked close enough, but I didn’t want to make so much of Reagan. You’re damned if you do, and you’re damned if you don’t. 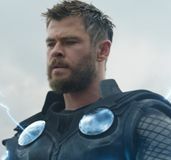 If you cast someone who looks like him, you’ve cast a look-alike. If you shoot over his shoulder, it’s like you’re hiding the fact that you don’t have the real Reagan. But, I felt that this was the most elegant version of it. You’ve had a lot of experience directing for film and TV. Do you prefer one over the other, and does your technique change, based on the medium? KWAPIS: I feel very lucky that I’ve been able to do unique projects in both television and film. I feel that I can do some things in television that I can’t do in film, and visa versa. I feel like I gravitate towards ensemble stories, having worked on The Office, and having developed the show Outsourced, and doing films like He’s Just Not That Into You or Big Miracle. I like the idea of juggling a lot of story strands and a lot of different characters. I feel that television is a great laboratory. One of the beautiful things about television is that, if something doesn’t work, that’s fine, we’ll just try something else next week. In a way, it’s similar to what it must have been like to be working in the teens or ‘20s, and making short two-reelers that had to get out quickly. Oftentimes, with feature filmmaking, every decision becomes very precious. There’s a lot of money riding on it. Studios don’t make as many feature films as they used to. But, they’re very different animals. Did this feel like a very different type of project for you? KWAPIS: Yeah, it was definitely on more of a grand scale. It’s a direction I would like to continue to go in. I loved working on He’s Just Not That Into You. I loved the way it was not quite drama, and not quite comedy. I love the ensemble nature of it, and the fact that it was funny and painfully relatable. After that film, I was sent a lot of romantic themed stories, and I felt they were all conventional. I love the idea that this is period film. I know that 1988 may not seem like 1888, but it is still a period film. It’s still far away from us right now. I also like the idea of a story that had a lot of different layers. There’s so many ways into this film. It’s a rescue adventure, it’s a boy’s coming of age story, and it’s also a geo-political story about the end of the Cold War. It’s also a little bit of a satire about the media and the media frenzy that often surrounds events like a whale rescue or Baby Jessica or Tonya Harding or O.J. Simpson. All those different layers somehow had to work together, and that really appealed to me. It wasn’t just the epic scope, but also the different ways into it. A lot of the characters in the film are acting out of their own self-interest, and the only true antagonist in the film is time and nature. What were the real challenges of putting together a film like this, without an antagonist? KWAPIS: It never occurred to me that I didn’t have an antagonist. It never bothered me. Time and nature are plenty, in this story. With my last film, He’s Just Not That Into You, I made a point in telling the whole cast, “There are no villains in this story.” The fact that most of the characters act out of self-interest is what drew me to the story. Kristen Bell’s character is trying to make a name for herself, as a reporter. She’s working this boy’s club. Krasinski’s character feels that the whale rescue will be his ticket out of Alaska and into a real journalism job in the lower 48. You have Ted Danson’s character, who’s trying to co-op the rescue for PR, to help push legislation through Congress so that he can drill in the wildlife refuge. Even the Minnesotans are trying to piggy back on the rescue to publicize their homemade de-icing machine. And the whalers themselves, at least at the outset, are acting out of self-interest. Even the boy couldn’t care less about whales. Everyone starts this story with a different agenda, and they compete with one another. What I liked about it is that, slowly, all of these people get out of their own way. They were able to do that because of their contact with the whales. It’s the commune with nature that changes every one of them. Why did you decide to use animatronic whales? KWAPIS: That was a big thing. A lot of the story takes place on actual Arctic sea ice, and we couldn’t shoot on sea ice. It would have been dangerous. It shifts and breaks, and you could fall in and get hypothermia. That was out of the question. 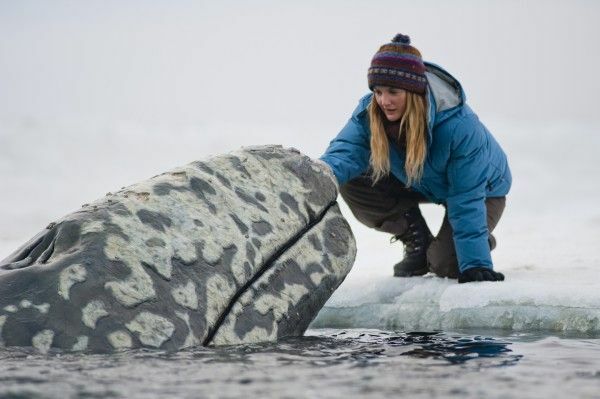 We had to build an ice field set, approximately the size of a football field, with an underground tank below the hole where the three robotic whales would be housed. They were built by a company in New Zealand, called Glass Hammer. The whales were operated by remote control. They were very sophisticated puppets, but one thing they didn’t do was spout. That was one complication. Any time the whale spouts, it’s a computer-generated image. At those temperatures, 20 to 30 below, the moment a whale spouts and the water hits the cold air, it immediately turns to snow. Underwater, the whales are entirely computer generated, along with the environment. It was not easy, but we wanted to have it be something that looked so real that it could have been photographed. There was a lot consideration given to that. With so many films, it’s about it looking cool. For us, that was not important. What was more important was that it felt like we actually had a camera in that space. What makes you want to continue to work with Drew Barrymore? KWAPIS: Drew was my first choice for this role. I wanted her to do it because the role of Rachel Kramer is someone who is passionate, driven and maybe a little strident. Her antics are a little in-your-face. What I wanted to find was an actress who could be both fierce and very fragile. The great thing about Drew is that she wears her heart on her sleeve. Her vulnerabilities are there for everyone to see. Everyone’s grown up with her. We’ve seen her stumble and fall in public. We’ve seen her get up and be triumphant in public. But, she always strikes me as someone who is open and available. When you see her on the screen, she feels like someone who you could have a drink with. There are a number of wonderful actresses who do great work, but when you watch them, you don’t feel that they’re approachable. Drew feels like someone you could hang out with. I wanted that openness. With John, I’ve known him since the pilot of The Office. I helped launch the series and I was there when we cast the ensemble. I also directed him in License to Wed. I feel that I’ve grown up with him a little bit. What excites me about John is that he’s someone who can do comedy, but always keep it grounded, like Gary Cooper or Jimmy Stewart. I feel that John has those qualities, and I don’t see that a lot, in the big or small screen. He has that ability to take a comedic moment and put a human face on it.